Asset administrator Mitsubishi UFJ Fund Services, a subsidiary of Mitsubishi UFJ Trust and Banking Corporation, has appointed Ken McCarney as its newest Chief Executive Officer (CEO), following a lengthy tenure as the bank’s chief operating officer (COO), according to a recent Mitsubishi UFJ statement. Mr. McCarney will be succeeding longtime UFJ mainstay, Glenn Henderson, who will remain with the bank in an advisory role. Currently, Mr. McCarney holds the position of COO – a role he will retain despite his recent promotion to CEO. He originally joined Mitsubishi UFJ back in 2007, having been based out of its Dublin office for the duration of his time there. Prior to Mitsubishi UFJ he also worked in executive level roles at Everest Capital and West End Capital Management. 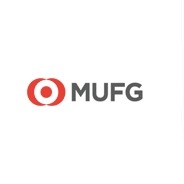 “I look forward to embarking on the challenge of leading Mitsubishi UFJ Fund Services; building and enhancing the strong reputation of the brand and in doing so, providing leading service to our clients around the world,” added Mr. McCarney in an accompanying statement.